WASHINGTON — Secretary of State John Kerry announced on Wednesday the formation of a new Office of Faith-Based Community Initiatives in the U.S. State Department, as well as his first appointee as overseer. During the conference, Kerry introduced his first overseer of the department, Shaun Casey, a professor at Wesley Theological Seminary and former adviser to Barack Obama during his 2008 presidential election campaign. “We need some substitute for that and I don’t think we’ve found it yet,” he stated. 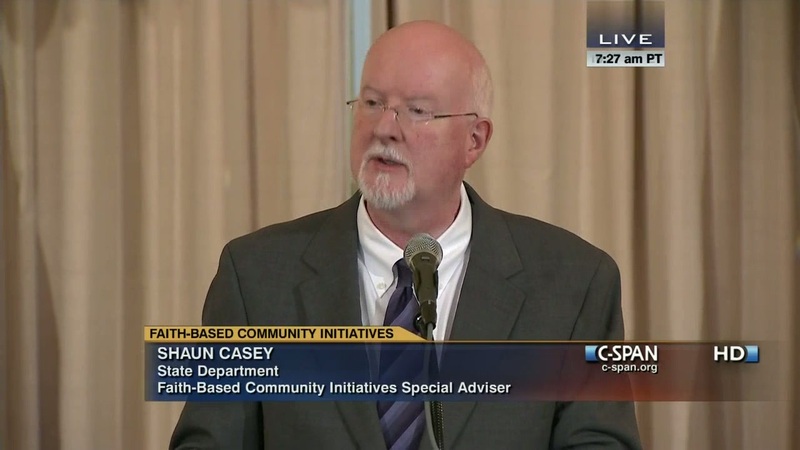 Casey will be working in conjunction with other departments in the Obama administration, including the White House Office of Faith-Based Community Initiatives, led by Melissa Rogers. “These leaders play key roles in promoting sustainable development, providing humanitarian assistance, advancing pluralism, protecting human rights like the right to religious freedom, and countering violent extremism,” Rogers told reporters about the creation of the new State Department Office. 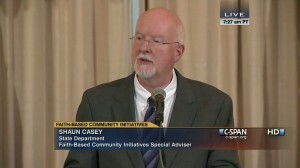 Casey is a member of the United Methodist denomination.